I've been lucky enough to get my hands on the advent calendar that I've wanted for the last 3 years but was always too slow....the No7 Beauty Calendar!!!! I actually thought I'd missed it's release date because I went in to boots and all the other advent calendars were there on the shelf. A few days later I googled it to make sure and it came out in 2 days time! For the first time ever, I was up, ready and at boots for 8am when the doors opened. It might have been slightly excessive but there was no way I was missing it for another year! I'd got enough points on my boots card so technically, I got it for free! 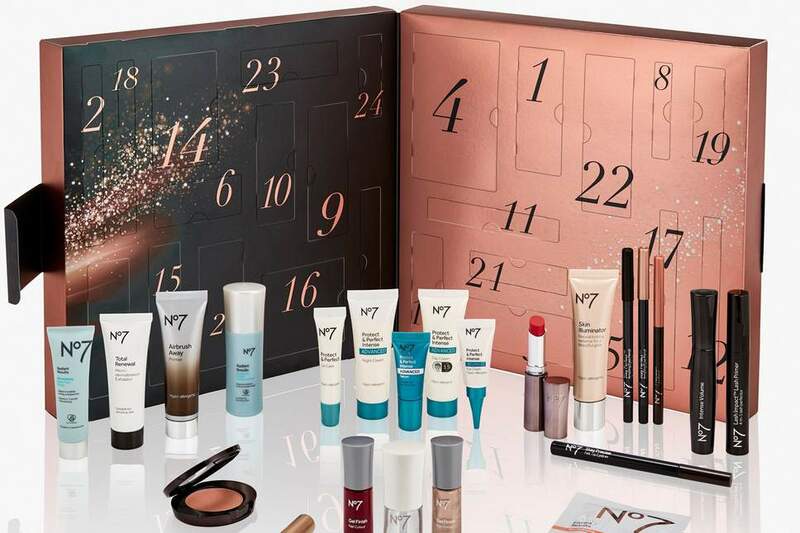 The Boots No7 advent calendar is a top selling calendar that sells out ridiculously quickly. It is a brilliant deal with it containing £177 worth of products this year for just £42. It contains a mix of beauty and skincare making it almost 90,000 people's go-to calendar! Unfortunately, as this has sold out, I can't offer a link to this from anywhere other than ebay and I can't possibly advocate purchasing it for almost double the price from people who's sole reason of buying one was to try and make a profit. If you're not one for beauty calendars, then the Yankee Candle advent offers a brilliant alternative to the traditional chocolate calendar. 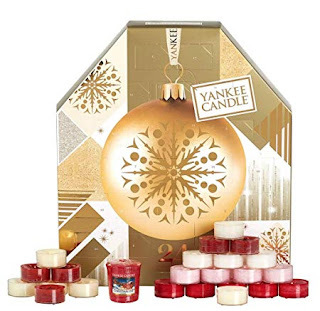 Yankee are known for their heavily scented candles and this calendar is a fantastic way to try out scents and get your home smelling amazing for the festive period. If you haven't already purchased an advent calendar this year, you can get this one here if it sounds like it's up your street. 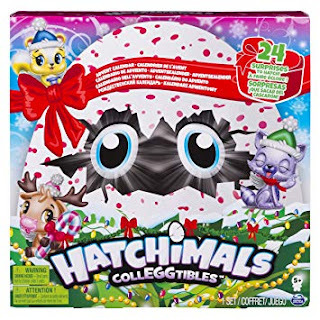 One for the kids now with the highly popular hatchimals launching their advent calendar. If you don't want to be starting your childs day off with a sugar load, then this may be a good alternative, as well as hopefully keeping them quiet for a little bit longer as they play with them. The average price for this calendar is £25 but it's ever so slightly cheaper here for £23.89 if you want it. Who doesn't love body shop? Apart from the fact that I can't go into a store without keeling over when the smell smacks me in the face, they do have some lovely products that I always seem to have to remind myself that they're not edible because they smell so good! 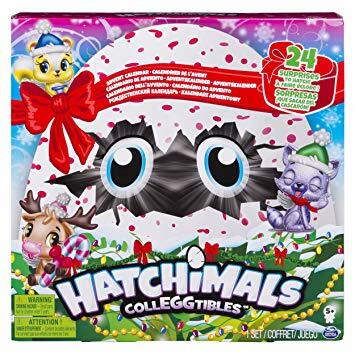 I'm also a bit of an owl lover so this box absolutely screams at me. The contents are worth £85 and contain a mix of bath, skincare, makeup and hair products. What more could a girl want? None of the above options speaking to you? How about this gorgeous LED wooden advent calendar from Hobbycraft for you to choose your own gifts for a totally special and personalised calendar that no one else has! Perfect for those of you that are thoughtful or crafty or both! Not gonna lie, I'd be terrible with something like this because I'm just not organised enough but I really wish I was! 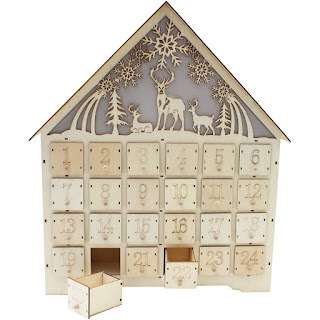 What advent calendar do you have for this year? *This blog post contains some links which are affiliate links which are at no extra cost to you. This post was also written in advance so some of the prices may have changed or some items may no longer be in stock. Advent calendars have come on a bit since I was a kid!